Young Kitty Charing stands to inherit a vast fortune from her irascible great-uncle Matthew--provided she marries one of her cousins. Kitty is not wholly adverse to the plan, if the right nephew proposes. Unfortunately, Kitty has set her heart on Jack Westruther, a confirmed rake, who seems to have no inclination to marry her anytime soon. In an effort to make Jack jealous, and to see a little more of the world than her isolated life on her great-uncle's estate has afforded her, Kitty devises a plan. She convinces yet another of her cousins, the honorable Freddy Standen, to pretend to be engaged to her. Her plan would bring her to London on a visit to Freddy's family and (hopefully) render the elusive Mr. Westruther madly jealous. The hero of this delightful book, Freddy, isn't your usual dashing, perfect, hunky Mr. Handsome. Oh, he is handsome enough, but he is also shy and doesn't know how to flirt. However, that makes him the most refreshing character I have ever read about. He is funny and sweet and caring. Which makes this book unbelievably funny and romantic. One more of Mrs. Heyer's masterpieces. As for Mr. Westruther, the plan seems to succeed and he finally comes around. Or does he? P.S. 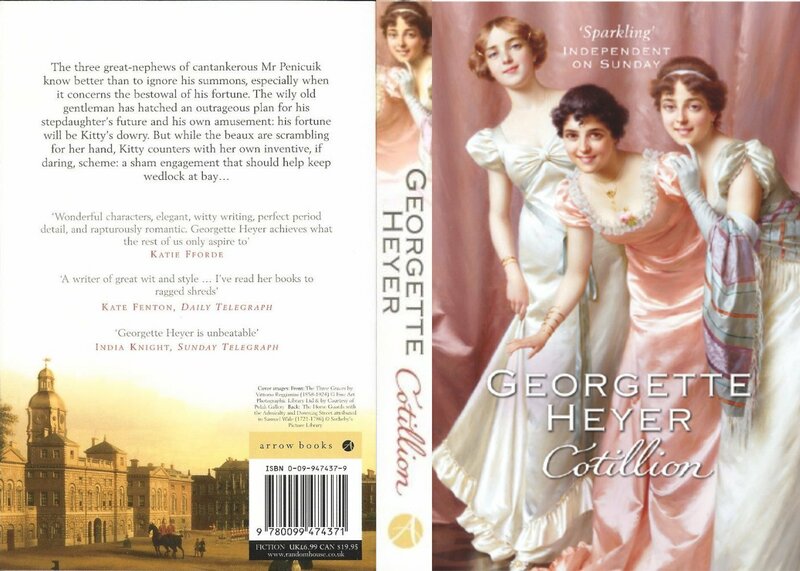 The photo of the full cover is from the Georgette Heyer sitcom. 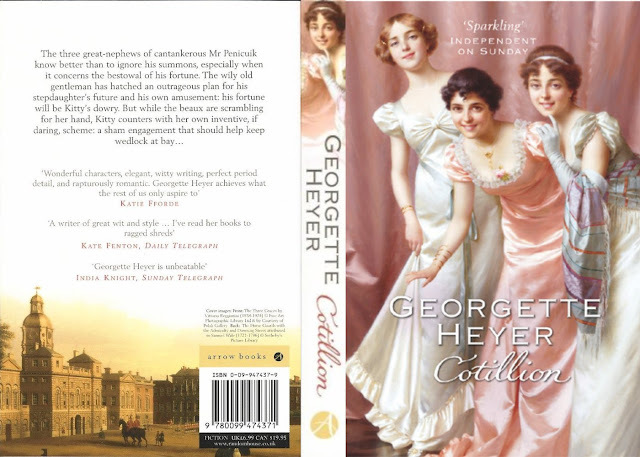 An enjoyable read Cotillion by Georgette Heyer. loved the way you wrote it. I find your review very genuine and original, this book is going in by "to read" list.